Boy meets girl's new boyfriend's old girlfriend. And together they plan the breakup of the offending new relationship between their exs. The story is not new, but the style is attractive. 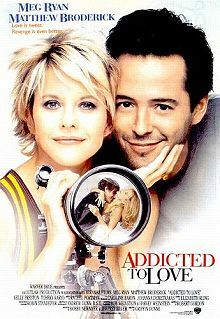 Matthew Broderick and Meg Ryan make a nice dysfunctional couple of conspirators. They live together in a condemned building eating popcorn and chinese food and listening to the bugs she placed as they watch their loved ones through the camera obscura. The photography takes advantage of the magic of light and lenses and creates some wonderful cinematic images. The story is predictable, but fun, and the lead actors likeable. The new French boyfriend is charming enough to steal a woman from Broderick, but obnoxious enough to deserve the ill-treatment he suffers. It's a pity he doesn't learn anything from the experience. We know he will cheat on his lovers again in the future, but this is the way men such as he choose to live. Meanwhile, it's all good, clean revenge.